The English department kicked off the holiday season on Nov. 28 with their first-ever book swap event. About a dozen students gathered in the Tahoma room, excited to participate in the department’s new holiday event. The English Department Event Planning Committee organized the event, where students brought holiday treats to share and books to swap in white-elephant fashion. 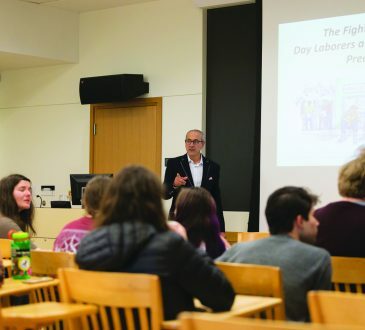 The event-planning committee, also known as the Confederacy of Dunces, is a team of English students and professors responsible for hosting events and activities for the English department on campus. The committee originally came up with the idea for the book swap early on in the semester. 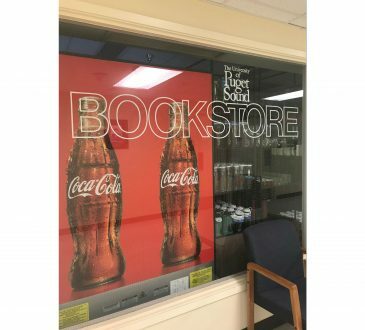 “We thought about how everyone has books they don’t wanna read or have already read, so we’re gonna trade them,” senior Parker Barry, member of the English Department Event-Planning Committee, said. Each student arrived with a wrapped book in hand and before beginning the swapping game, they added short descriptions to the wrapping so that each player might have an idea of what they were getting into when browsing the swap pile. Most players hand-wrote their descriptions on the wrapping paper, but one student came prepared with his description typed on a typewriter. A couple of students brought Christmas-tree-decorated baked goods to add to the cozy holiday atmosphere. The event began with introductions consisting of names and favorite books, leading the group into an enthusiastic discussion on good books and authors. The white elephant game followed, and players took turns picking randomly from the swap pile or taking a book they like from another player who had already picked it up. As in any good game of white elephant, exclamations of excitement, persuasion tactics and stealing ensued. Sophomore Sivan Najita expressed his sentiments over his new book after the swap had finished: “I ended up with this cool-looking book called ‘The Crow Girl.’ It looks very long but very interesting, so it should be a good time,” he said. 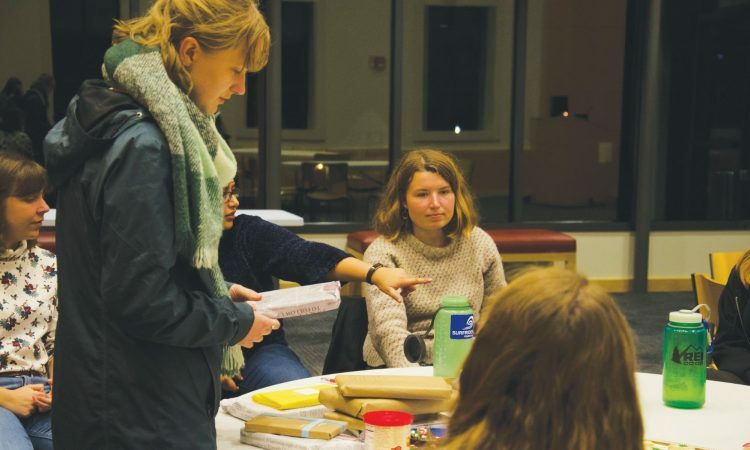 After planning their first event, a fireside chat that took place earlier in the semester where students could chat and get dinner with professors, the English Department Event-Planning Committee felt more confident in planning the book swap as their next event. Barry credited the event’s success to their new knowledge of planning events, including making better flyers. “I think it’s really easy to plan events at UPS, because it feels really comfortable here, like everyone would just come down and hang out. 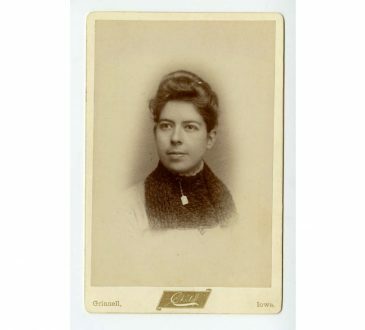 I’m sure that if we were in the real world it would be a lot harder,” she said. The committee plans to continue hosting similar book swap events in the future to keep up the competitive but friendly environment. “It’s just a fun thing where people get to exchange gifts and read and promote the English department. That’s the biggest part of the English Event-Planning Committee is trying to bring people together that are interested in English, so that it feels like there’s more of a community within the zone,” Barry said. The CHWS Rundown: What health services do they offer and how can you access them?